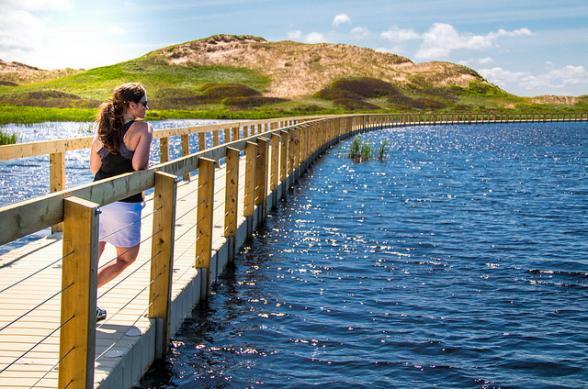 Prince Edward Island is located in the Gulf of St. Lawrence west of Cape Breton Island, north of the Nova Scotia peninsula, and east of New Brunswick. The island has two urban areas. The largest surrounds Charlottetown Harbour, situated centrally on the island's southern shore, and consists of the capital city Charlottetown and suburban towns Cornwall and Stratford. 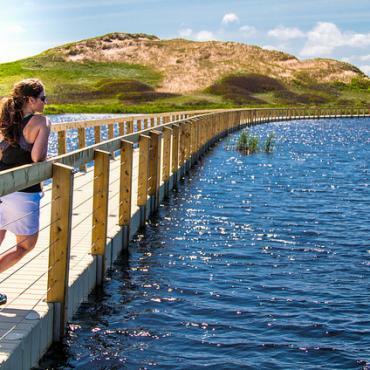 The island's landscape is pastoral: rolling hills, woods, reddish white sand beaches, ocean coves and the famous red soil all of which contribute to Prince Edward Island’s reputation as a province of outstanding natural beauty. 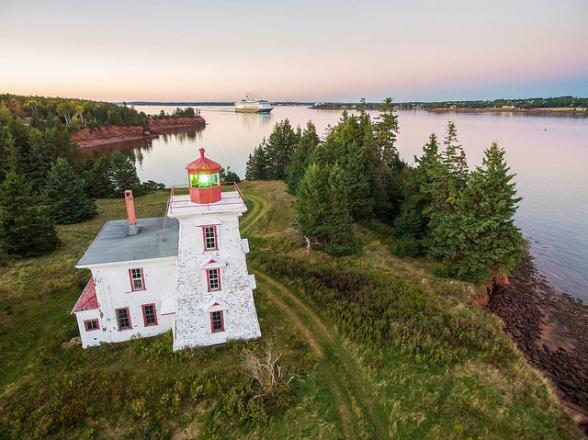 The smaller rural communities, as well as the towns and villages throughout the province, proudly retain a slower-paced, old-world flavour maintaining Prince Edward Island's popularity as a destination for relaxation. 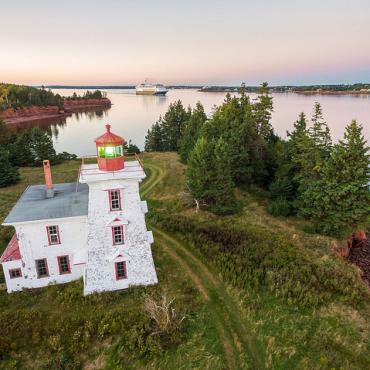 The coastline consists of a combination of long beaches, dunes, red sandstone cliffs, salt water marshes and numerous bays and harbours. The magnificent sand dunes at Greenwich are of particular significance. The shifting, parabolic dune system is home to a variety of birds and rare plants and is also a site of significant archaeological interest.